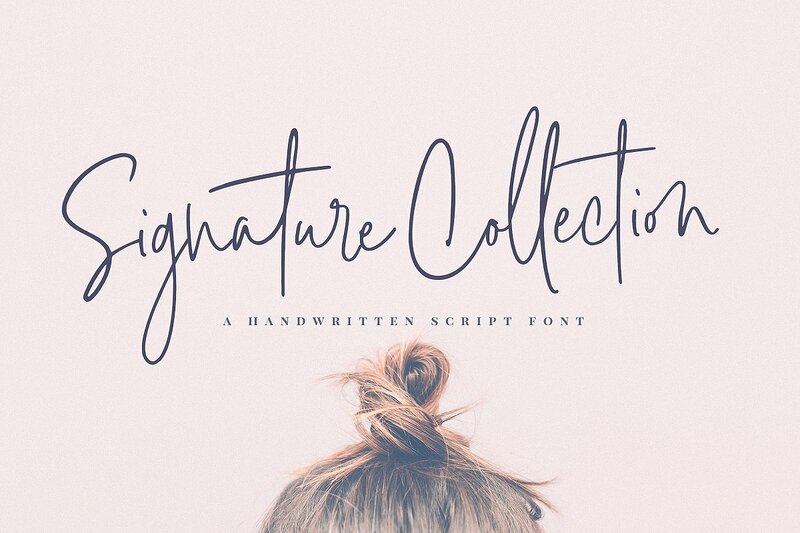 If you’re looking for the best selection of signature fonts, you’ve found it! Signature fonts belong to the “Handwritten Font” category, but they tend to have an even more natural, textured feel to them that makes them look practically real… like an actual signature. 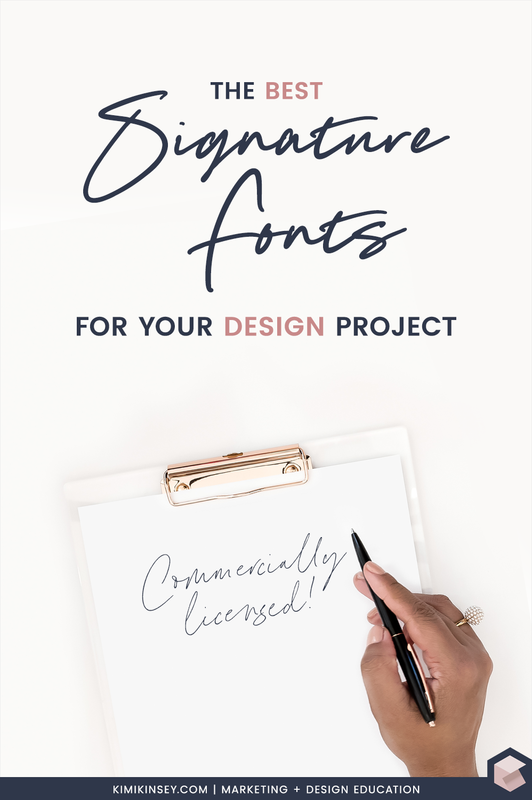 I certainly have my personal favorites (shout out to Sam Parrett of Set Sail Studios who makes some of the best you can buy), but keep reading to see examples of signature fonts that you can use for creating your brand, social media quotes, greeting cards, and yes… your online signature too! Want to just skip ahead and see the Best Signature Font Winner? All of the fonts listed in this post are premium, commercial fonts which you can use in a variety of business-related projects as per their licenses. Make sure you’re always using fonts legally! This was an easy choice for me, because Bird & Thorn is so expressive. It’s packed with one of the largest selections of custom ligatures (holy crap… 93!) and that makes this particular font feel very natural. It’s definitely a signature font and appears as if you signed your name with a Sharpie. I’m loving this font for stylish branding & logo projects, product packaging, handwritten quotes & editorial design. It probably wouldn’t be a list of signature fonts without this fashionable font. Signature Collection is a super-chill font with a sort of feminine and happy feel. With over 100 handwritten ligatures, this font feels like you picked up a pen and started writing a letter to your best girlfriends. 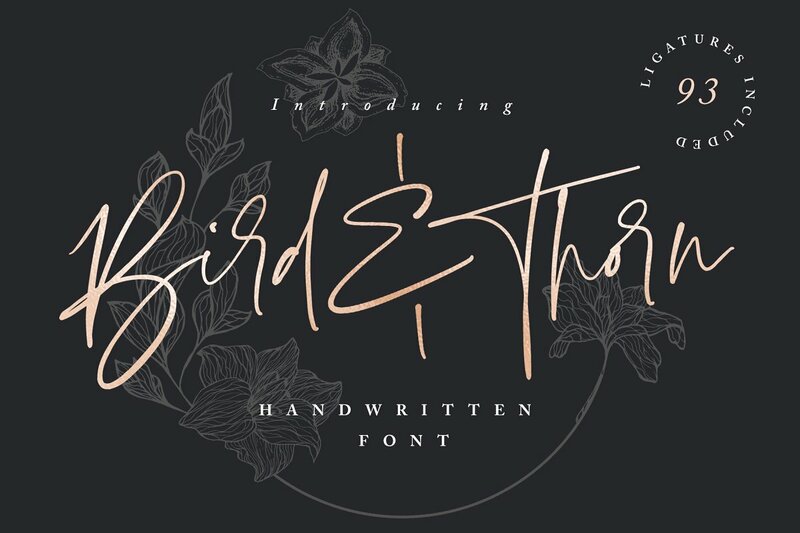 This font is so perfect if you are looking to create a feminine brand. I love it for logo projects and social media graphics. This is definitely one of my favorites. In fact, I use it often in my branding! 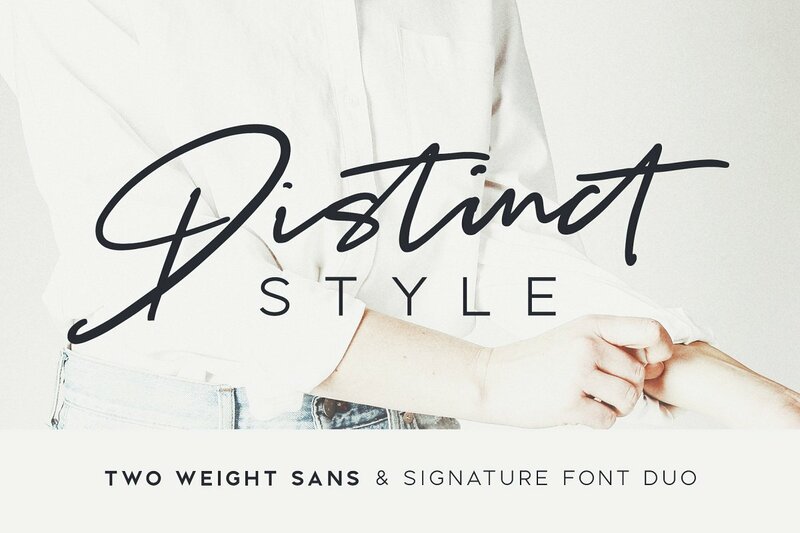 Distinct Style if a contemporary pair of signature and sans serifs fonts (that’s right – you get 2 for the price of 1!). It’s fast flowing, and I love the number of ligatures (there’s currently 64!) as well as the fact that it comes with alternative character sets. That makes it really easy to use as a signature when you have an alliterated name like I do. I like this font for projects that could use a little edge to them. Use it for logos, social media, and advertisements that need a little “oomph”. Holy ligatures! 128 of them to be precise. 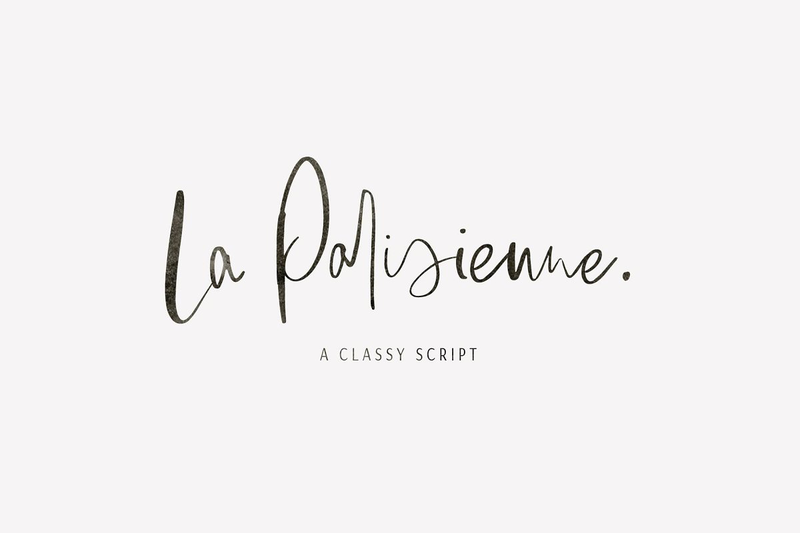 La Parisienne is an energetic and classy signature font that I am totally here for. I love the feel of this font for a signature because it so beautifully captures stroke pressure – making it look like you picked up a marker and started writing down notes. This font is super cute for a variety of projects like invitation cards, feminine logos, social media graphics, and product packaging. Which signature font is the BEST? If I had to pick only one handwritten font you need, it would be this one! 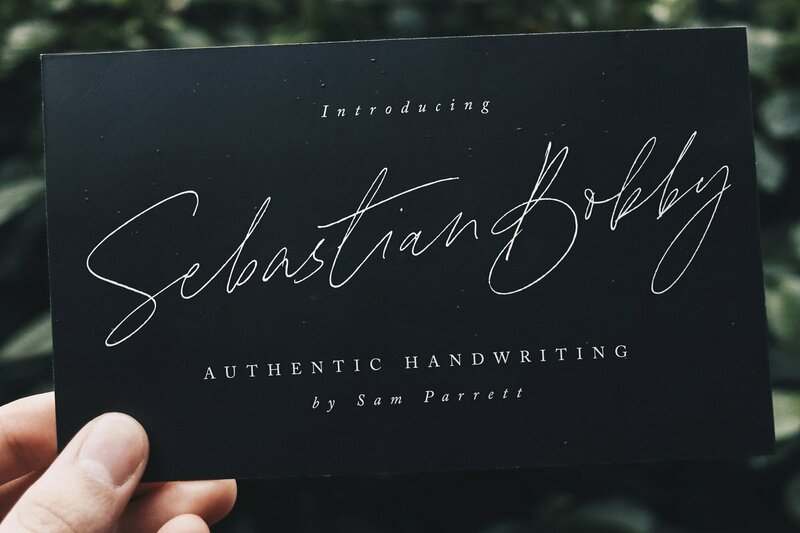 Sebastian Bobby has, by far, the most natural feel to it among any signature script on the market… including when paired against other fonts by the same creator! It was designed with a real fountain pen, giving the swashes the perfect texture. While it doesn’t have the most ligatures compared to others in this list (there’s 78), it’s more than enough to give this signature font its natural flow that seriously looks like you just signed something super official and adult-like. This would be the perfect font for your stationary – especially as a custom return address. It also works great for handwritten quotes, social media graphics, and branding projects. What’s your favorite signature font (even if not from this list – I love font recommendations!). Let me know in the comments.